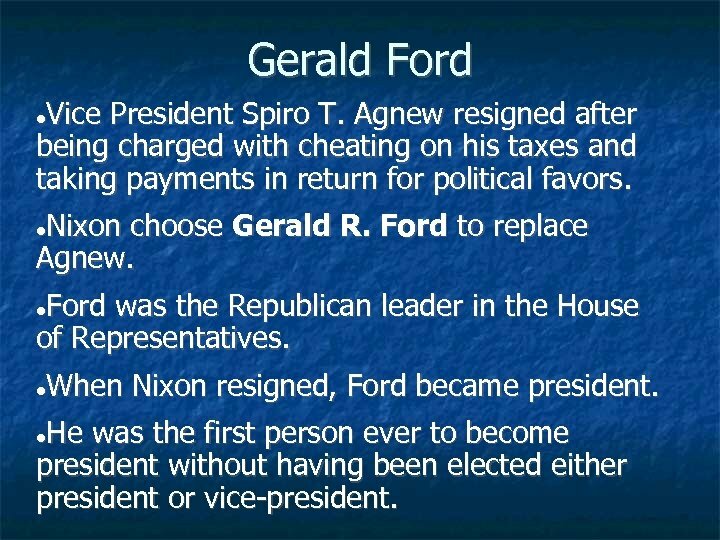 Gerald Ford Vice President Spiro T. Agnew resigned after being charged with cheating on his taxes and taking payments in return for political favors. 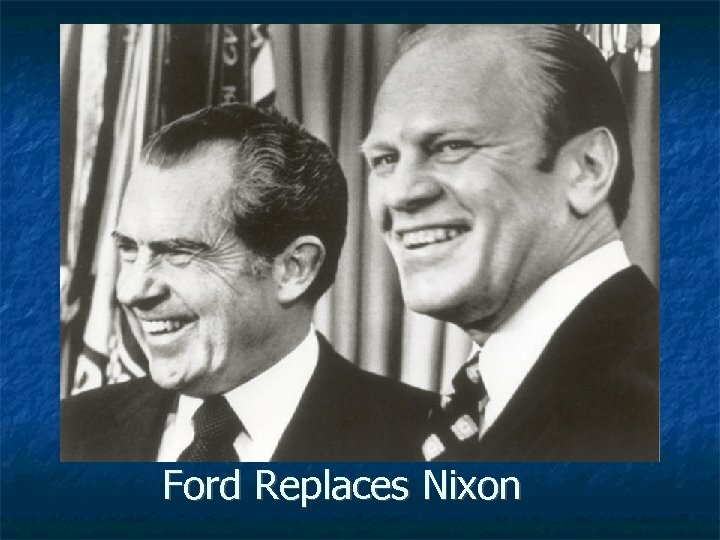 Nixon choose Gerald R. Ford to replace Agnew. 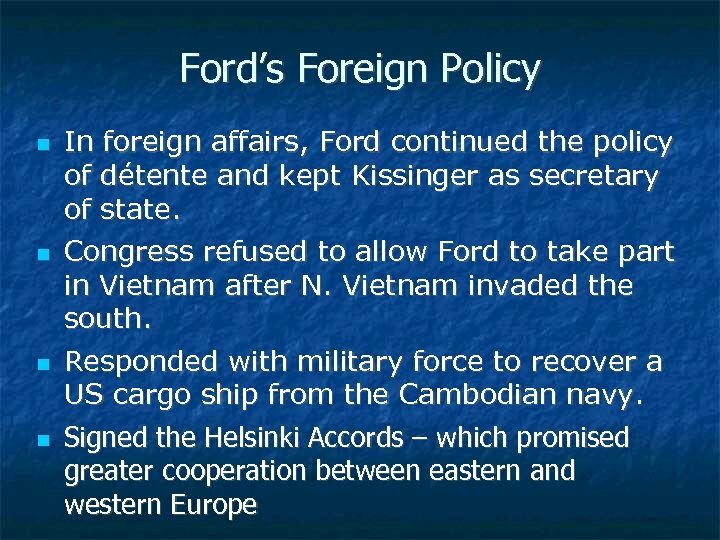 Ford was the Republican leader in the House of Representatives. 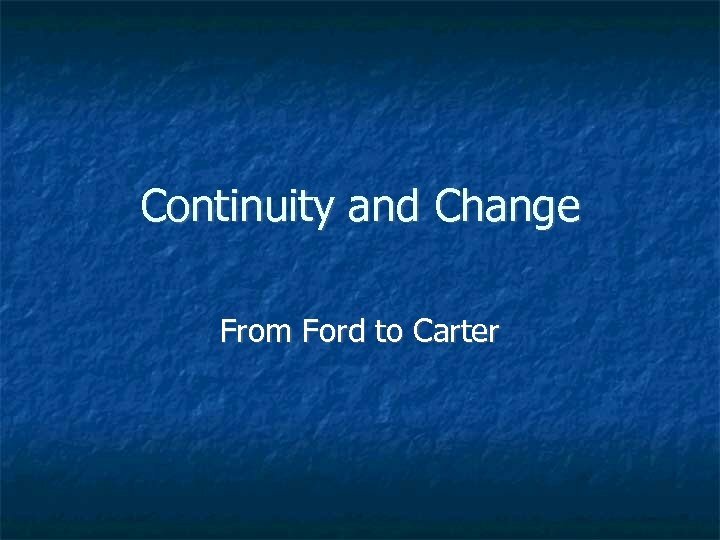 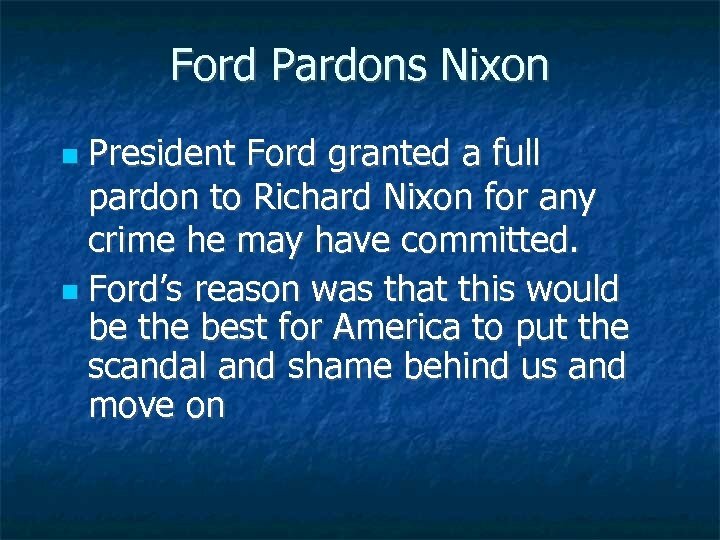 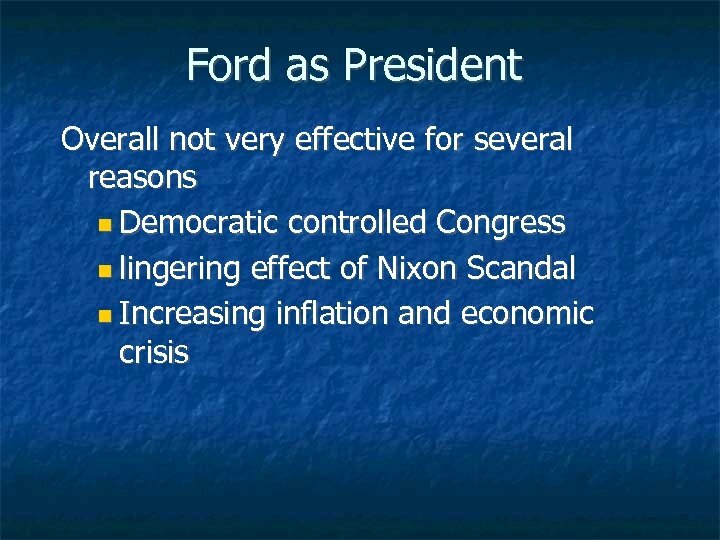 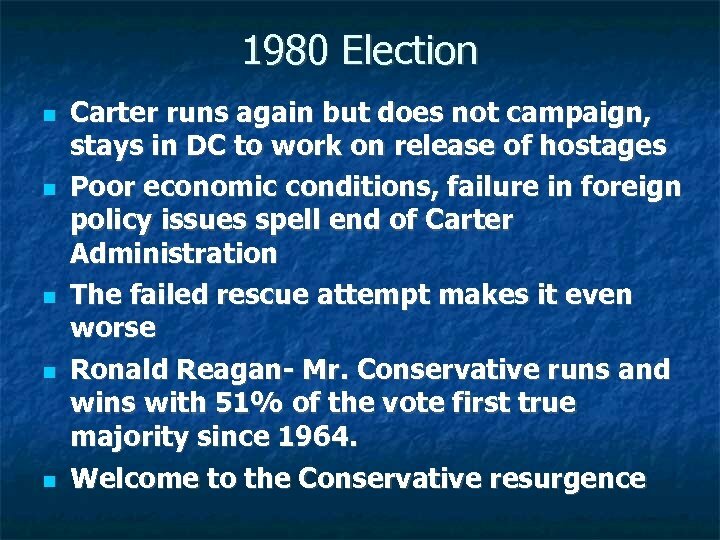 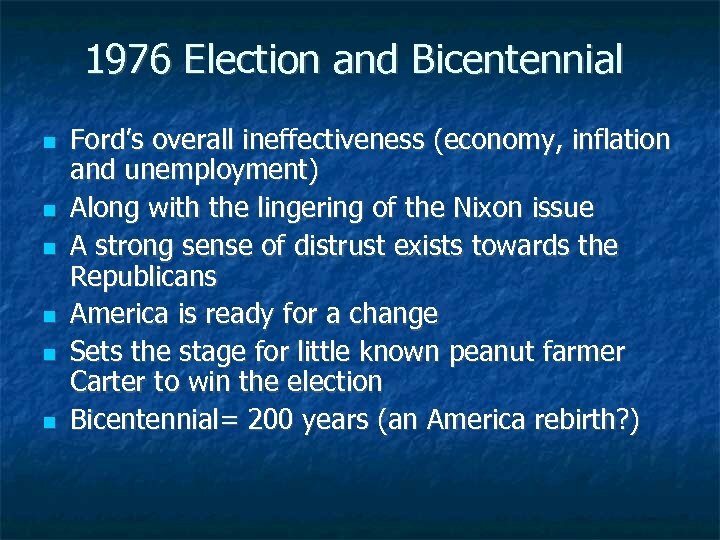 When Nixon resigned, Ford became president. 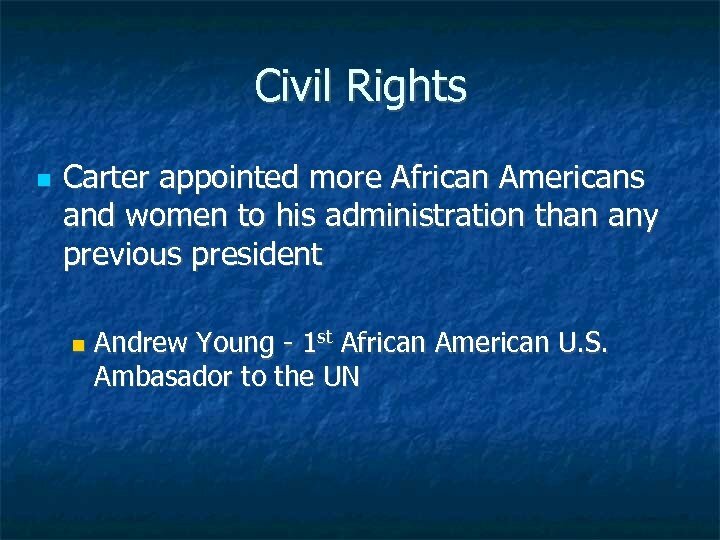 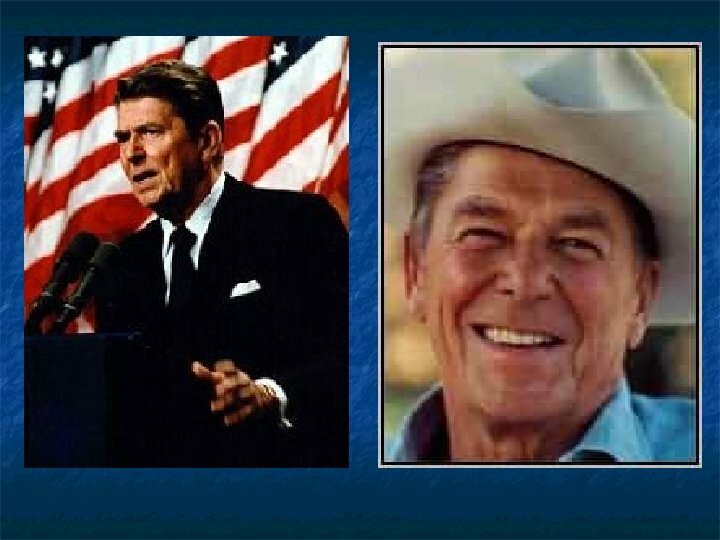 He was the first person ever to become president without having been elected either president or vice-president. 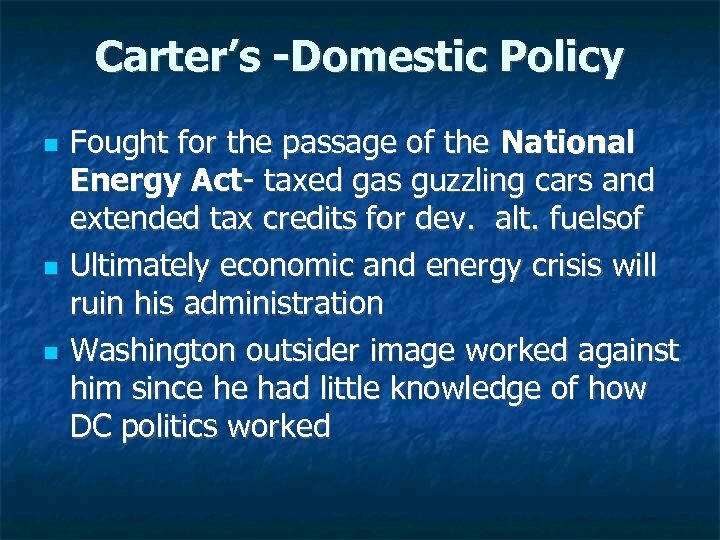 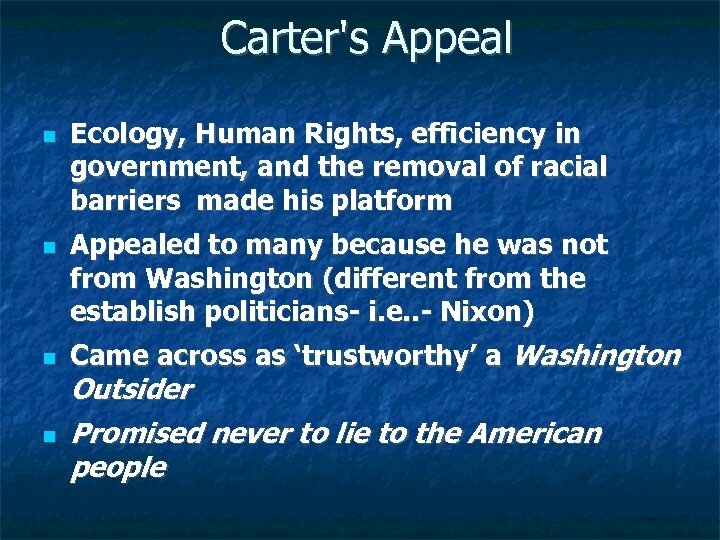 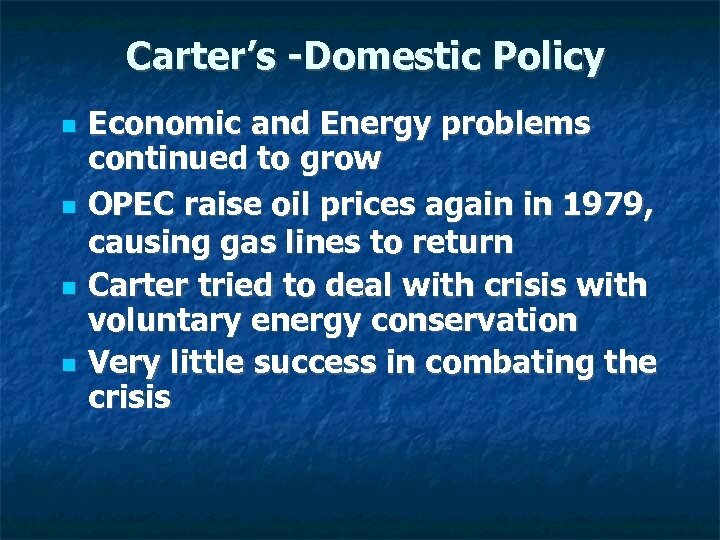 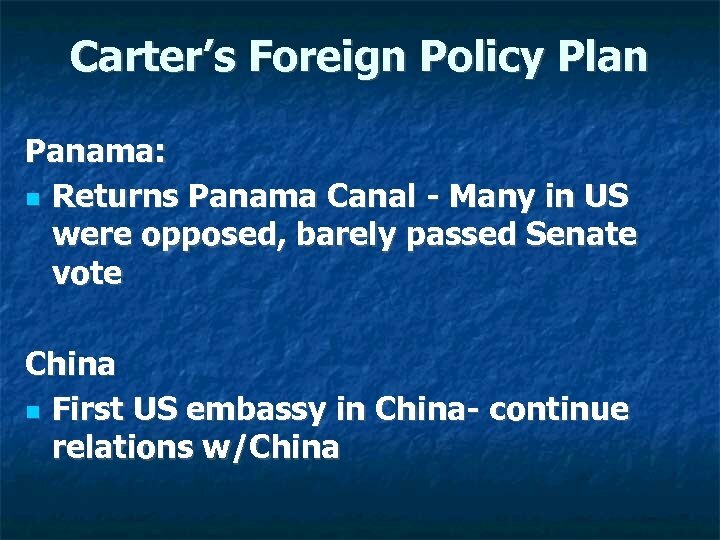 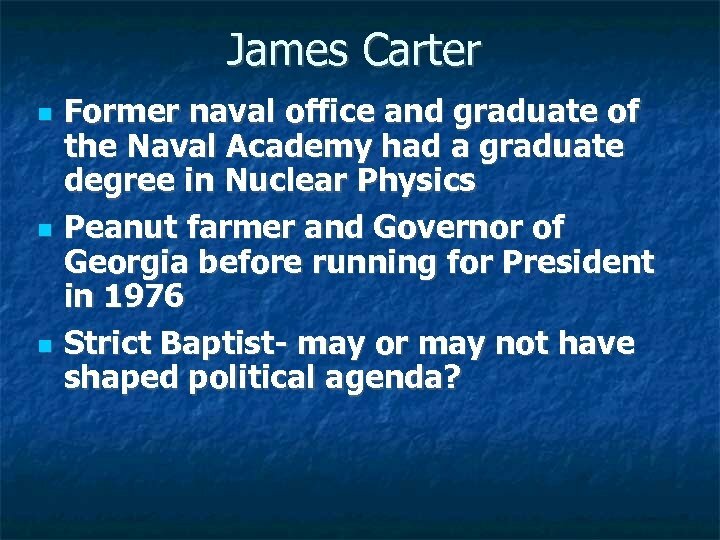 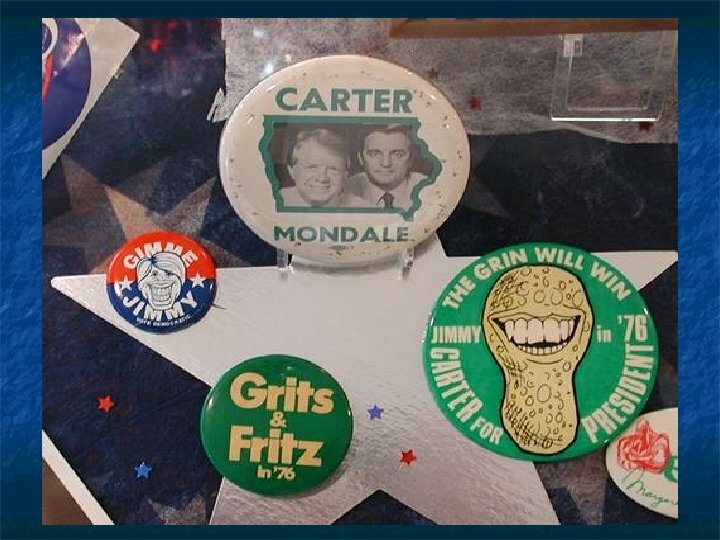 James Carter Former naval office and graduate of the Naval Academy had a graduate degree in Nuclear Physics Peanut farmer and Governor of Georgia before running for President in 1976 Strict Baptist- may or may not have shaped political agenda? 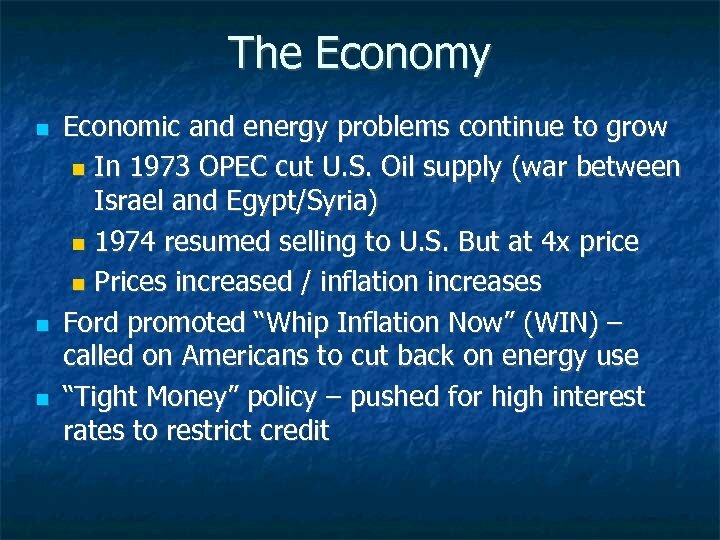 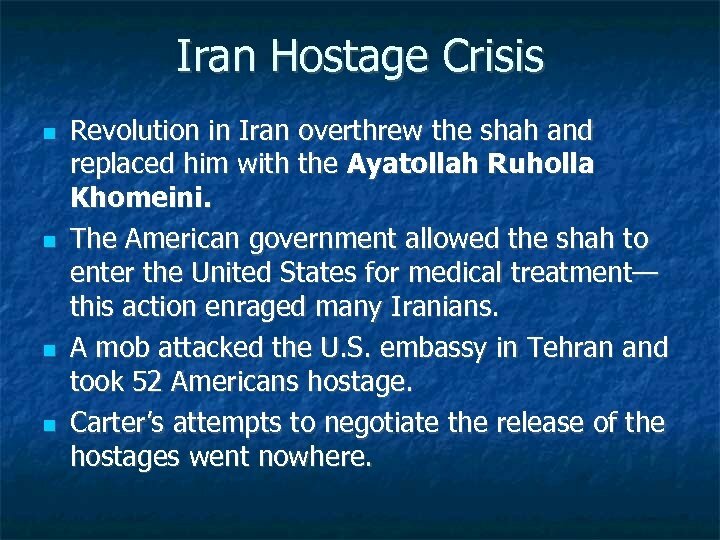 Iran Hostage Crisis Revolution in Iran overthrew the shah and replaced him with the Ayatollah Ruholla Khomeini. 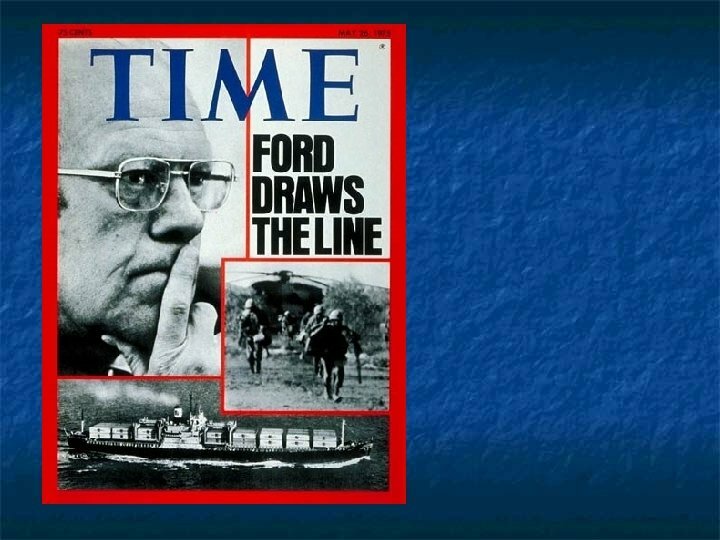 The American government allowed the shah to enter the United States for medical treatment— this action enraged many Iranians. 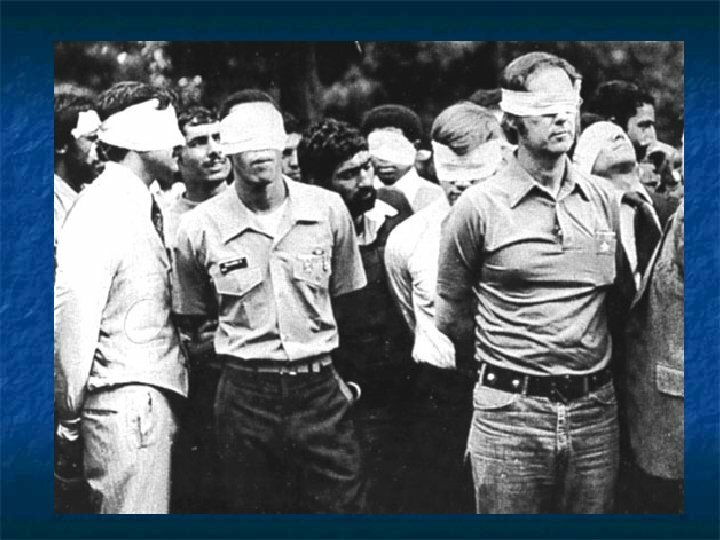 A mob attacked the U. S. embassy in Tehran and took 52 Americans hostage. 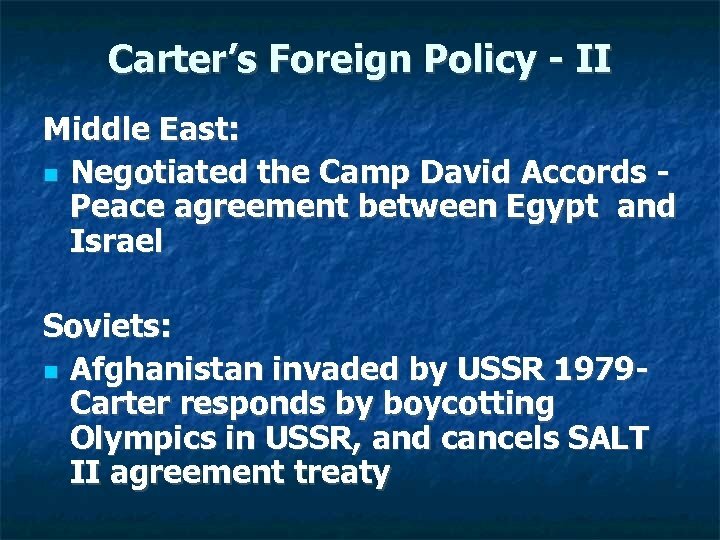 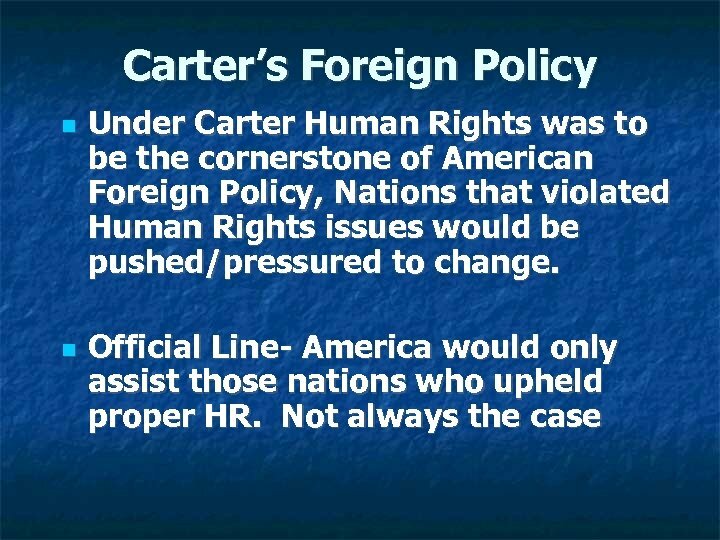 Carter’s attempts to negotiate the release of the hostages went nowhere.